Research by Corporate Knights shows that avoiding fossil fuels would have made the state pension fund much wealthier. The New York State Common Retirement Fund (NYSCRF) would be an estimated $22.2 billion richer had it decided to divest its fossil fuel stocks ten years ago, according to analysis performed by Corporate Knights. That works out to more than $19,820 for of each of the fund’s 1,122,626 members and retirees, an amount that would have covered more than 25 percent of the costs from 2012’s climate change fuelled Superstorm Sandy. 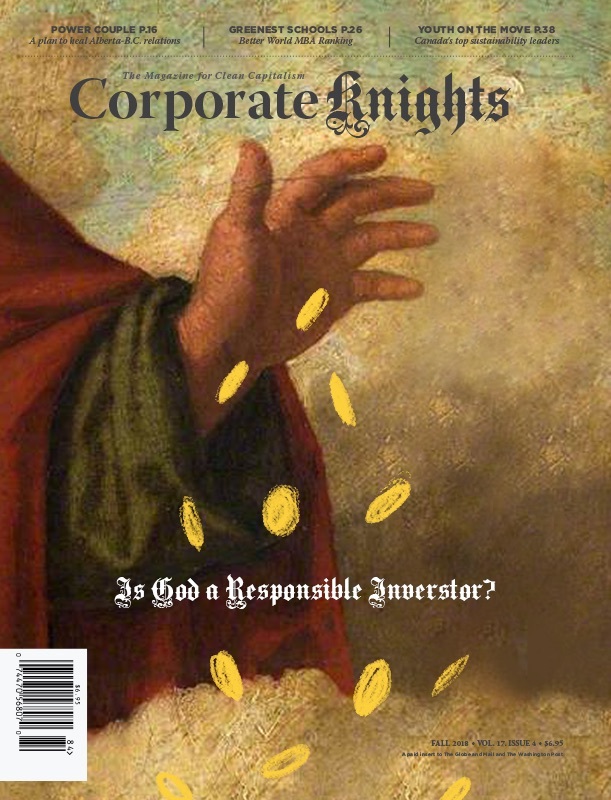 To determine the financial impact of fossil fuel divestment for the NYSCRF, Corporate Knights retrieved the fund’s stock holdings, weights and valuations for each of the past ten years. It then used this publicly disclosed information to compare the actual investment returns of NYSCRF’s equity portfolio with those of a fossil fuel-free version (no oil, gas or coal stocks), and accounted for net outflows arising from member contributions and pension retirement payments. The general outperformance of fossil fuel-free investment strategies over the past five and ten year periods is now well documented and proving resilient even as oil prices rise. For instance, the S&P 500 Fossil Fuel Free Index was ahead of the S&P 500 on a five-year basis as of market-close September 26th 2018. Historically, divesting from any sector has made almost no difference in long-term performance, as Jeremy Grantham has documented. However, the Corporate Knights findings and S&P outcomes indicate a quickening energy transition, which means that investors with substantial fossil fuel holdings may be taking on risks they do not fully appreciate. This helps explain why 985 institutional investors with $6.24 trillion in assets under management have committed to divest from fossil fuels, up from $52 billion four years ago, according to the fourth Global Fossil Fuel Divestment and Clean Energy Investment Movement report by Arabella Advisors. Other investors such as BNP Paribas, HSBC, Aviva Investors and the giant Norwegian sovereign fund have publicly committed to back carbon-intensive businesses which have a good business plan to make a clean transition to the low carbon economy. Emerging data suggests that in addition being good for the planet, these transition efforts are paying off for investors. The two most prominent fossil fuel company transition stories (Neste Oil and DONG Energy) have both been homeruns for investors. Over the course of a decade, the Danish National Oil and Gas Company invested heavily in onshore and offshore wind to the point where renewable power now comprises 60% of its revenue. Rebranded as Ørsted, the company has generated a 97.6% total return since its IPO in 2016 to Sept 30, 2018, beating its traditional benchmark–S&P Global Oil Index—by 65.7% over the same period. Taken together, this analysis all points in the direction that the energy transition is happening faster than investors expected. The question for those responsible for safeguarding pension assets is: do you believe this transition is over or just beginning. NYSCRF’s stock holdings, weights and valuations for each of the past ten years were retrieved from its 13-F SEC filings and Comprehensive Annual Financial Report (CAFR). Fossil fuel stocks were excluded to create a NYSCRF fossil fuel-free portfolio in this analysis (the “reference portfolio”). Fossil fuel stocks include all companies who earn revenue from oil, gas, thermal coal mining or thermal coal power sales. The weights of the removed companies were redistributed proportionately towards the remaining companies in accordance with their relative weights. The performance comparison period commenced on April 1, 2008, using holdings, weights and valuation information as disclosed on March 31, 2008. The performance of both the fossil fuel-free and the reference portfolios was calculated using the Bloomberg PORT Function, with rebalancing occurring each April 1, according to latest disclosures, valuations and weights obtained from 13F SEC filings and the CAFR.